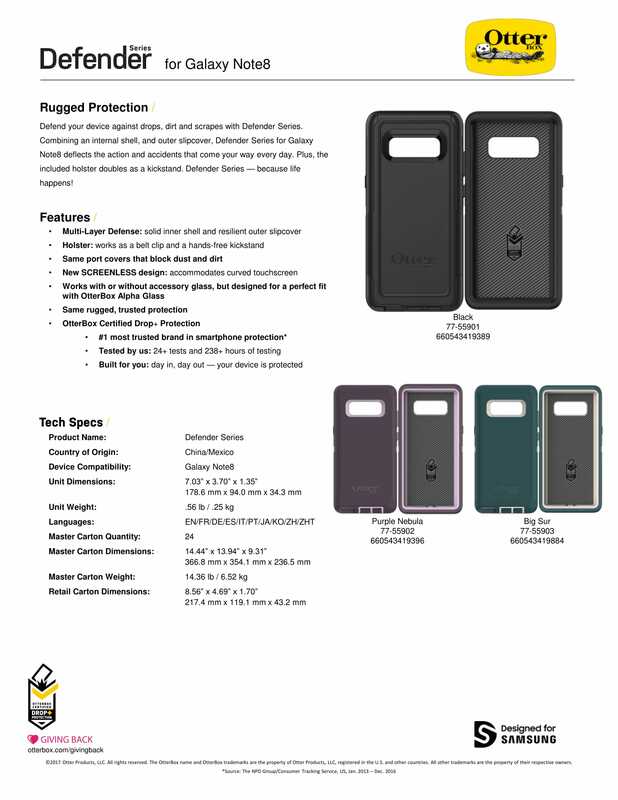 New SCREENLESS design complements your curved screen. 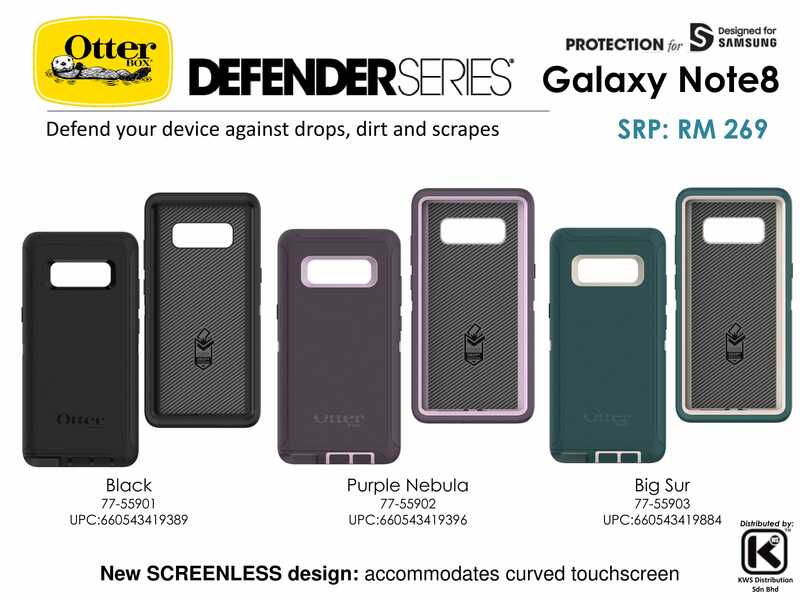 DEFENDER Series(Screenless Edition) is the family patriarch. The big daddy of them all. 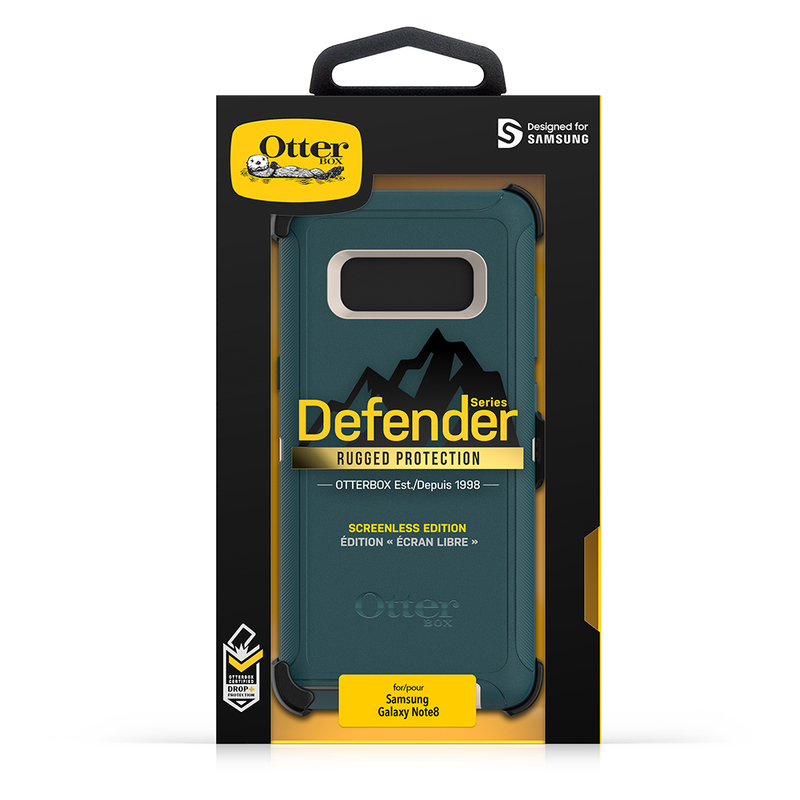 The early standard-bearer of Certified Drop+ Protection and the ultimate keeper of the OtterBox “Tough” legacy and tradition. 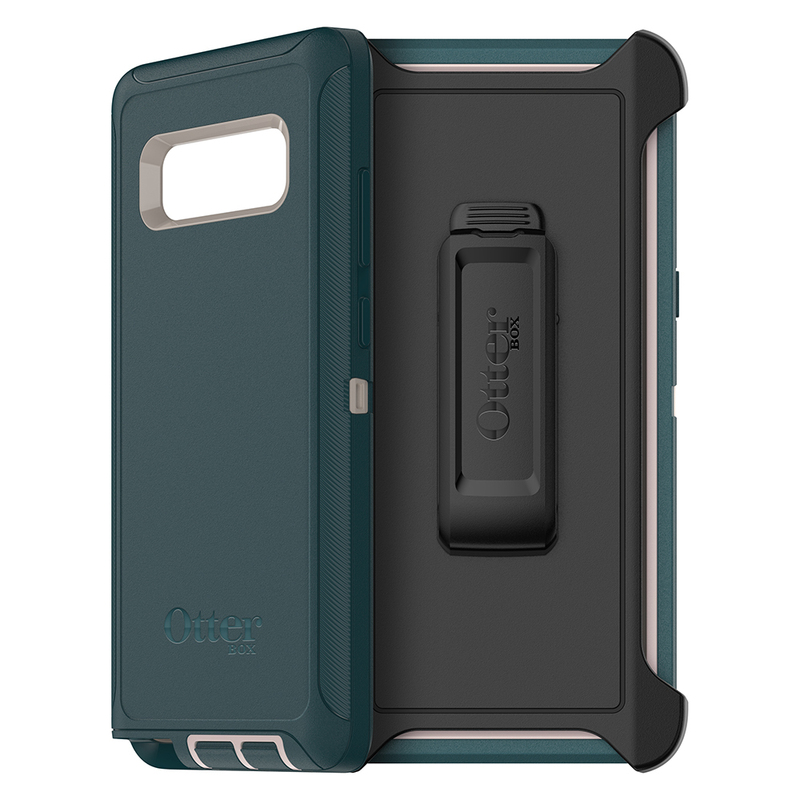 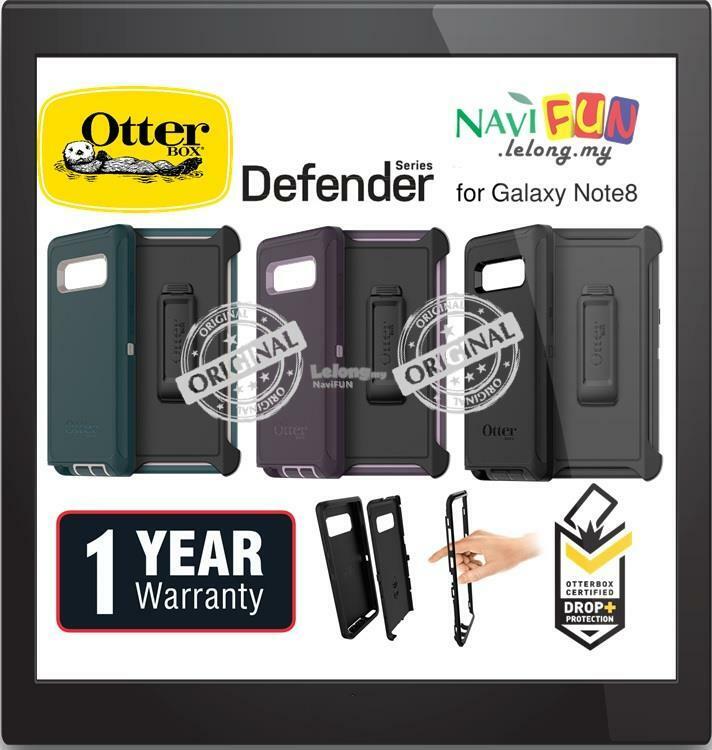 Grab one to give your Galaxy Note8 rugged protection and give you total confidence to do more.